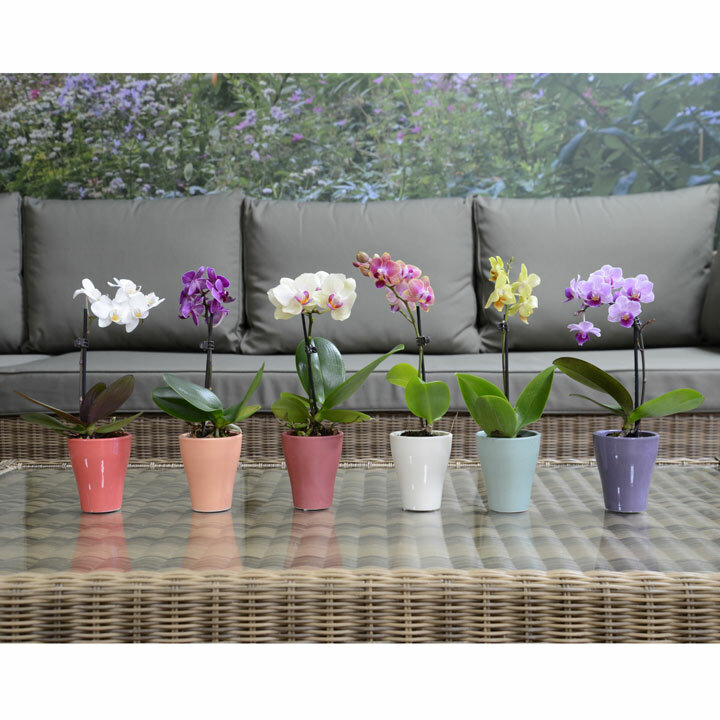 These delightful orchids come in their own decorative 6cm pots - smaller than their more common cousins, but equally exquisitely formed! Colours and varieties will vary - what you get will be a surprise to look forward to! BUY 3 SAVE £9! Colour will be a surprise! 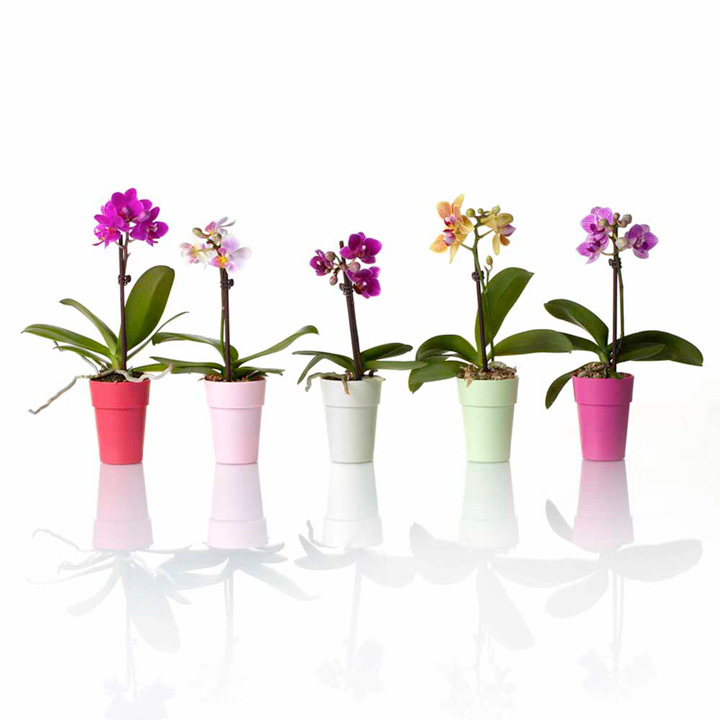 Orchids thrive in bright indirect light and a maintained temperature. Avoid spots where the temperature will fluctuate a great deal. Ensure orchid is always moist. Avoid excess water or allow to completely dry out. One suggestion is to immerse the whole pot in water for 10 minutes every 1-2 weeks. an occasional watering with rainwater will also help to avoid any build up of salts in the roots. 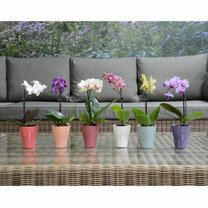 Mist regularly and feed every 2-3 weeks with orchid fertiliser. 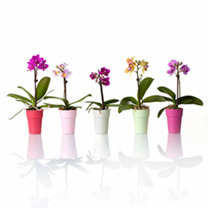 Orchids prefer their roots contained within small pots.